Every shooter should know how to deal with a malfunction. The dent in the middle of this cartridge is from the firing pin contacting the primer. 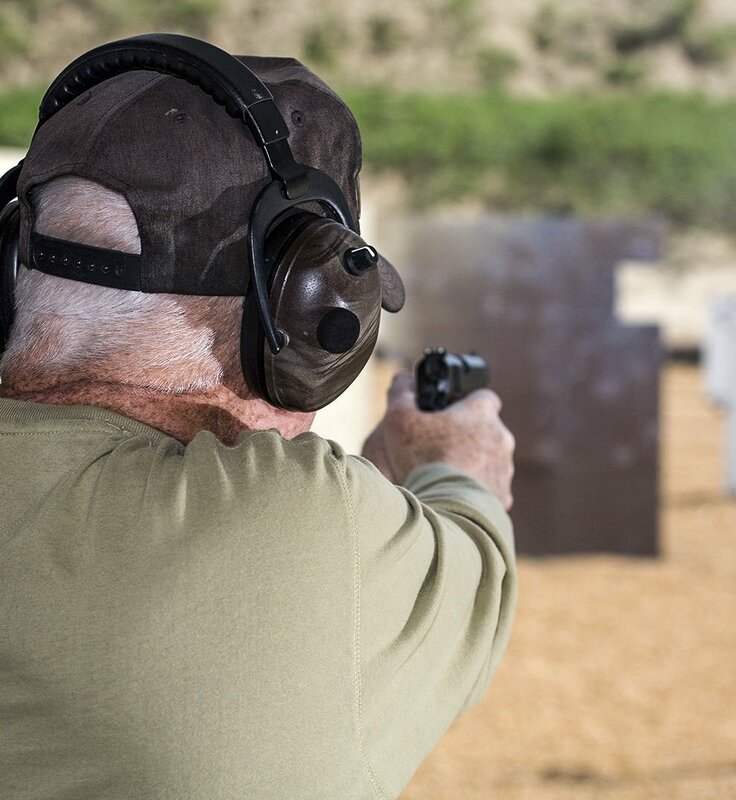 A firearm malfunction is simple to define: It’s when you squeeze the trigger, but the bullet fails to launch or launches at a reduced velocity. Malfunctions are often confused with jams, which are a very different thing. Malfunctions are usually caused by the ammunition, while jams are usually caused by improper shooting techniques. We’ll deal with jams some other time. There are three different types of malfunctions that can happen: Misfires, hang fires and squib loads. I’m going to detail those for you and tell you what you should do if you experience one. This is the most common type of malfunction. A misfire occurs when you pull the trigger on a chambered round and nothing happens. No boom, no pop, no fizzle — absolutely nothing. This is most likely caused by a faulty primer (the circle on the back of cartridge where the firing pin hits). The primer is an impact-sensitive explosive that ignites the powder charge in the cartridge casing when it’s struck by the firing pin. On an empty casing, you can see the dimple where the firing pin hit. If the gun does not fire, the first thing you must do is assume you have a hang fire situation, which we’ll get to in the next section. Once you determine that it’s not a hang fire, then you should eject the round from the chamber. The next round will load in and you can continue shooting. In a revolver, simply pull the trigger again. The chamber will rotate to the next round and be ready to fire. Faulty primers are not the only reason misfires happen. They can also indicate a problem with the firing pin as well. If you get a couple of misfires out of one box of ammo — and only that box — then I’d bet money that it’s bad primers. But if it seems to be a consistent problem, then you should have a gunsmith inspect your gun because there’s likely an issue with the firing pin or spring tension. The firing pin is not hitting the primer hard enough and you are getting light primer strikes. A hang fire is a delay in the ignition charge. It is similar to when you light a firecracker and it does not go off immediately, instead taking a few moments to kaboom. This is usually caused by a slow burn in the powder charge. It can take up to 30 seconds for a hang fire to go off. Remember that I told you to always assume a misfire is actually a hang fire? Here’s why: You cannot tell them apart until after 30 seconds have passed. If you experience a misfire, it absolutely must be treated as a hang fire until you’re sure it isn’t. This means keep your gun pointed downrange while maintaining your shooting grip and stance for 30 seconds. If you eject that round, it might explode on the shooting bench or range floor, sending shrapnel and a stray bullet anywhere. If you pull the trigger on a revolver, the round could be trapped in the cylinder by the frame of the revolver and it could blow up in your hand. Have patience. Only after 30 seconds have passed should you move to the next round. Squib: What a funny little word for such a dangerous thing. A squib load is the result of lower-than-normal pressurization in a cartridge. The gun goes off, but the bullet moves out of the casing at a decreased speed. These are commonly experienced when shooting reloaded ammunition, but can occur when shooting new factory ammo also. It may be caused by an insufficient amount of gunpowder (or with handloads, forgetting to add the powder at all). You can easily identify a squib load by reductions in noise, recoil and muzzle blast. The sound will be distinctly different. You will not hear the loud crack that is associated with a gun being fired, but rather a muffled bang. To me, it sounds as if the gun is being fired underwater. You will also notice that the gun will not kick as much as usual. Muzzle blast — the little flame that shoots out of the end of the barrel — will also be less, but you probably won’t notice that unless you are firing the gun at night. If you think that you may have experienced a squib load, stop shooting immediately! You need to check your barrel for an obstruction. Commonly, there will not be enough velocity for the bullet to exit the barrel. If you fire a second round, the pressure from the trapped round can cause damage to the gun or injury to yourself. The best way to check for a blockage is to open your action and use a cleaning rod to push down the muzzle end of the barrel (keeping the muzzle pointed downrange, of course). If the rod comes out the chamber end of the barrel, then you can be assured that there is not a blockage. If the rod does not push all the way through, then you have a blockage. You may be able to push the blockage out with your cleaning rod, but I would recommend leaving that up to gunsmith, who can also make sure there has been no damage to your barrel. 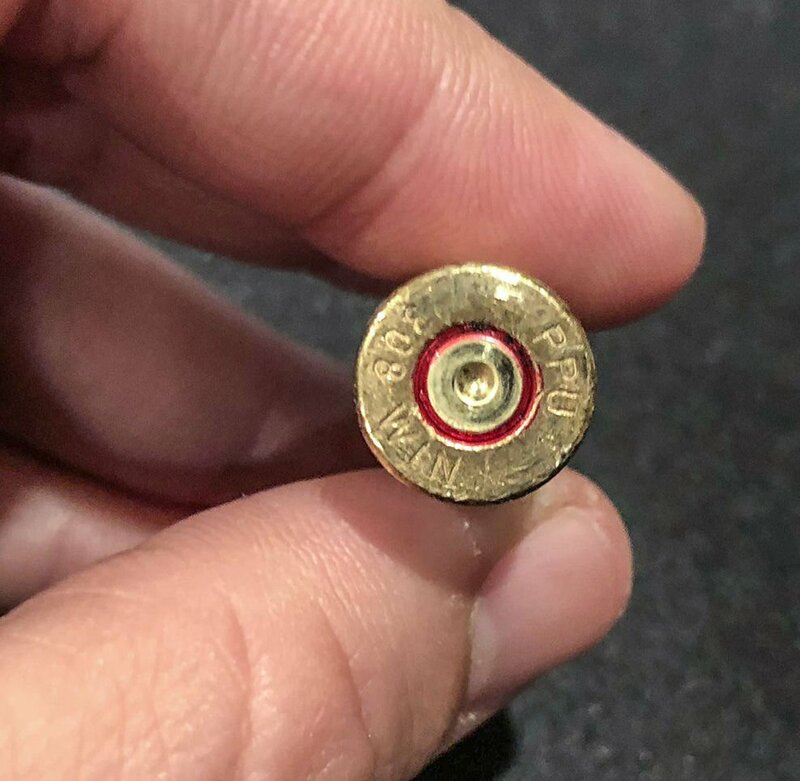 Now, I wish I didn’t have to add this, but I do: When you have a malfunction, for the love of all that is holy don’t pull an Elmer Fudd and look directly down the barrel! People have shot themselves by doing just that. It’s a good way to win a Darwin Award, but otherwise it’s just a really, really bad idea. If you are having any issues with your firearm and you’re unsure of how to safely resolve them, consult a range officer or another firearm professional for assistance. Remember, a gun is completely unforgiving. Safety is always first! Jenny Malone grew up in the Charlotte County area and is an NRA-certified pistol instructor and range safety officer. You can talk guns with her at J&J One Stop Gun Shop in Port Charlotte.